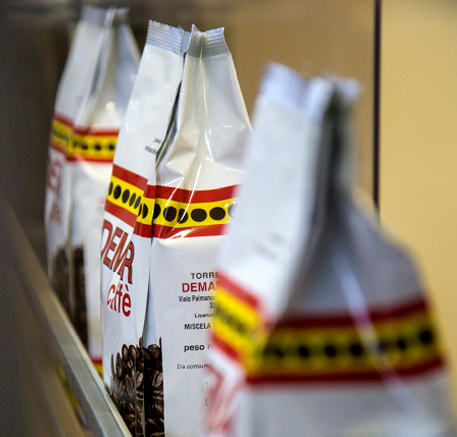 Demar coffee is not just an ordinary coffee like many others that you can find on the market. When you have a Demar coffee, all your senses are stimulated, leading you to discover the long journey made by each individual bean, from the harvest to your cup. The taste of our coffee is the taste of the sun of the Caribbean, of the colours of South America, of the spices of Asia, of the strength of Africa and of the far horizons from where we select only the best quality. It is the taste of fire and wood, which slowly roast the beans, allowing them to release their aroma. It is the taste of the work of our craft, the result of care, commitment and passion. This, we believe, is culture. The culture of our coffee. Green coffee beans from different countries around the world are tested and tasted many times before being approved. After careful cleaning and selection they arrive in traditional jute bags. Once on the plant they will still have to pass through checks and quality tests carried out personally by the owners of Demar, which are a guarantee of the standard that is the family’s trademark. For us, selecting means that the right balance of flavours and aromatic and organoleptic qualities can then be found in the cup. Demar Caffè blends are always wood-fire roasted, following our timeless family tradition. 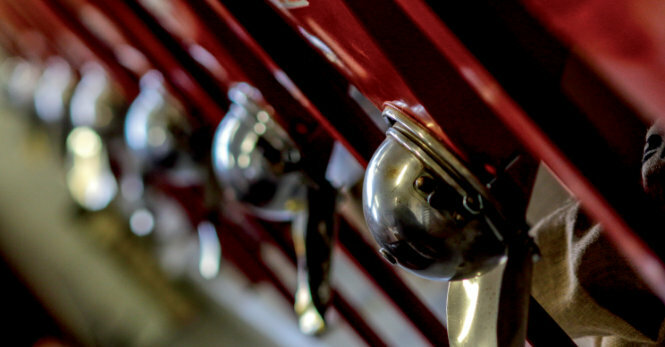 It is at this stage that the skill and experience of the master roaster make a difference. Under his constant control the coffee is slowly roasted and brought gradually, gently, to room temperature. For this reason, the roasting time is almost double the time used elsewhere and hence Demar coffee gives a better result. This careful attention and gentleness is later found in the cup where the perfectly blended flavours and the roasting produce more aroma, sweetness, depth, intensity, strength and balance. 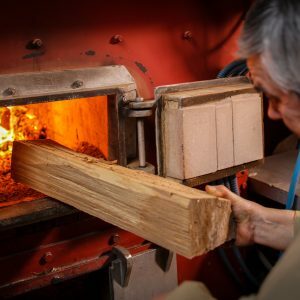 Over the years, our experience has led us to use only certified beech wood, with better results and lower atmospheric emissions. 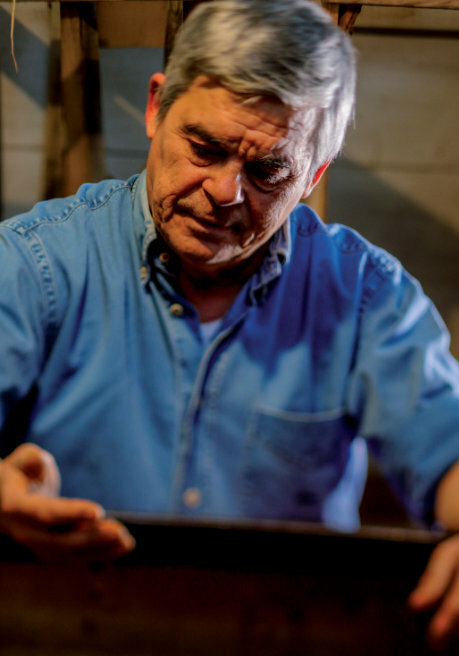 That is what makes our product extraordinary: an art that we have been handing down from generation to generation and that we have pursued with the same care and dedication for nearly 50 years. The freshly roasted and slowly cooled coffee is transferred to the silos, allowing the flavours to blend naturally. We let the coffee rest for a few days to ensure the full, rich taste that makes every single bean a Demar bean. The modern packaging equipment has been selected, approved and calibrated so as not to alter the taste and aroma that the coffee has achieved during this incredible transformation. The package employed keeps all the colours, aromas and flavours intact until it is opened in your coffee shop or kitchen. We want coffee to be a ritual that involves all the senses. Begin to relish the experience of coffee with your hearing: listen to the quick rap of the doser, the sweet murmur of water in the machine and the clink of the teaspoon. Then behold your espresso in its cup, with its inviting hazel colour and its velvety cream. Breath in deeply its aromas, try to perceive the hints of chocolate and fruit and the unique fragrance of wood. Only then taste its intense, full, rounded flavour. Let yourself be seduced by its full body and velvety cream. Then let the initial bitter taste leave room for a sweet aftertaste that will make you smile, as would a pleasant memory. Enjoy the unique experience of Demar coffee.